Through The Eyes of a Therapist Podcast – Demystifying therapy, humanizing therapists, and de-stigmatizing mental illness. Cristal is a mental health clinician, advocate, boxer, drummer, healer, podcaster, blogger and creative spirit. She founded Through the Eyes of a Therapist podcast in January 2018 and launched in February 2018. 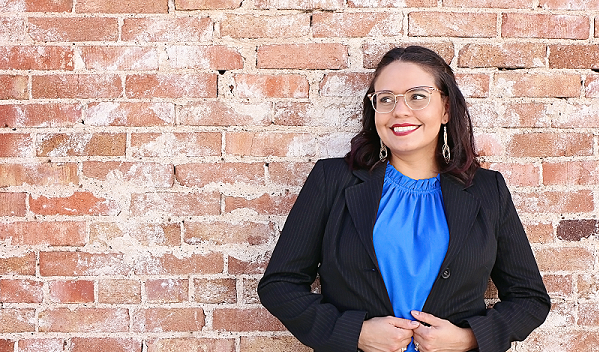 PROFESSIONAL BACKGROUND: Cristal Martinez Acosta has been working as a therapist within the border community of El Paso, Texas since 2011. Cristal is a Licensed Professional Counselor (LPC) in the state of Texas and a Nationally Certified Counselor (NCC) through the National Board of Certified Counselors (NBCC). She graduated with honors from the University of Texas at El Paso (UTEP) with a Bachelor’s degree in Psychology and Sociology. Then she attended New Mexico State University (CACREP accredited), where she received a Master of Arts in Counseling and Guidance with a 4.0 GPA. She has experience working with youth and adults who have been affected by traumatic events. Her areas of interest are childhood abuse, domestic violence, anxiety, high-risk youth, depression, Reality Therapy, and immigration issues. She is certified in both Trauma Focused Cognitive Behavioral Therapy and Parent Child Interaction Therapy and trained in EMDR. She is a public speaker, trainer, and mental health advocate. She has presented at various conferences in her professional career and has been blogging about mental health since 2012. She is 3,086 years old (okay 30-something) and lives in a place where delicious authentic Mexican food and crappy drivers are abundant (oh yeah I went there). 49% Native American-Mexican and 30% Spanish (according to DNA tests). She is married to an Athletic Trainer and was a group fitness instructor in a past life. She would do ANYTHING for her family and two dogs! Her favorite fruit is watermelon (with Tajin) and loves pastel de tres leches! Drumming, boxing, lifting weights, football, obstacle races, trying different hairstyles, shopping, being real, traveling, being a weirdo, and being a foodie are the most important things that keep her sane. Current dreams: opening a business, being famous for therapizing, writing a book, podcasting, and being the best freaking counselor she can be (being who she needed when she was little)! Way to go Cristal! I LOVE this site1 I’m so impressed with your creativity.